Microbes, or microscopic organisms, are widely used in large-scale industrial processes. They are crucial for the production of a variety of metabolites, such as ethanol, butanol, lactic acid and riboflavin, as well as the transformation of chemicals that help to reduce environmental pollution. For instance, microbes can be used to create biofertilizers or to reduce metal pollutants. Microbes can also be used to produce certain non-microbial products, such as the diabetes medication insulin. Microbes are microscopic organisms. They are used in many large-scale industrial processes. They produce chemicals such as ethanol, which is used as a fuel, solvent and for many other purposes, as well as glycerol, a common metabolite in food and medicine, and a number of other chemicals. Microbes, especially fungi, are useful as bio-fertilizers, by making nutrients more available to plants and increasing crop growth and yield. Microbes are useful in medicine as well. Recombinant DNA technology alters bacteria to create medications such as synthetic insulin for diabetic patients. The ethanol that microbes produce is widely used as a solvent, extractant and antifreeze. 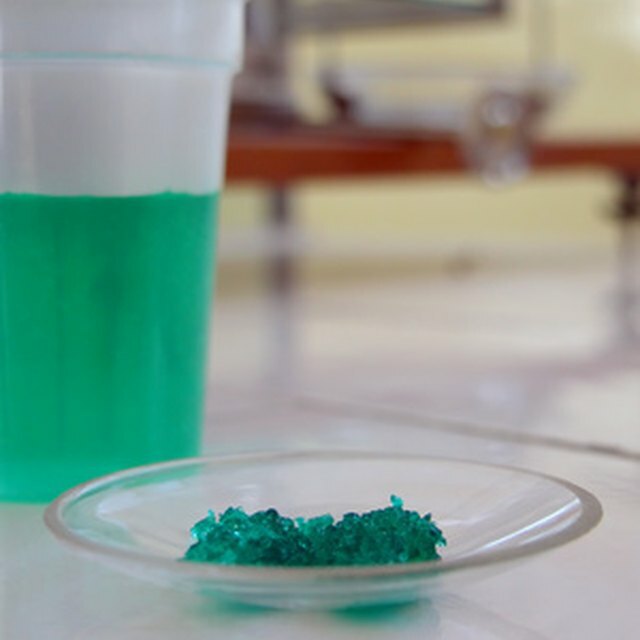 In addition, it forms the base for many dyes, lubricants, detergents, pesticides, resins, explosives, plasticizers and synthetic fibers. N-butanol, also produced by microbes, is useful in the manufacturing of plasticizers, brake fluids, extractants and petrol additives. Glycerol is widely used in both medicines and the food industry, while mannitol is used in research and butanol is used both as a solvent and in explosives. Many bacteria thrive by reducing Fe (III), ferric iron, to Fe (II), ferrous iron, and Mn (VI) to Mn (II). Thus, these kinds of microbes can be used to leach Fe(III) and Mn(VI) metals from some soils and sediments in order to form a range of materials, such as magnetite, siderite and rhodochrosite. This process, which is called bioleaching, can change sediment structure, as well as create the potential to control water flow in aquifers and produce biomaterials of commercial value, such as magnetite. Bio-fertilizers consist of living microorganisms that are added to the soil to increase plant growth by providing plants with increased amounts of nutrients. Commonly used bio-fertilizers include phosphate-solubilizers, which make phosphates available to plants, resulting in improved growth and crop yield. Mycorrhizae, fungi associated with plant roots, are often critical to adequate nutrient uptake and plant survival in natural ecosystems. Azospirillum bacteria stimulate plant growth through a process called nitrogen fixing. For decades, doctors treated patients with diabetes mellitus with the insulin from the pancreases of slaughtered cows and pigs. Genetically engineered bacteria produce the hormone insulin in a pure form that is less likely to cause allergic reactions in patients. Scientists use a technology called recombinant DNA to put a human gene for insulin production in the DNA of bacteria. The modified bacteria are placed in large, stainless steel fermentation tanks, where the gene causes them to produce large amounts of insulin. When fermentation is complete, The scientists harvest and purify the insulin so it is ready to be injected by diabetic patients. Equipment is kept sterile at all times to prevent the bacteria from becoming contaminated. Lobo, Tricia. "The Role of Microbes in Industry." Sciencing, https://sciencing.com/role-microbes-industry-8044034.html. 09 May 2018.